Recently I had the opportunity to review the Ribz Front Pack and I'm not going to lie, the first time I saw it I instantly thought it was a glorified fanny pack. But once I put it on, it was a different story. It is designed to sit tight and hug your ribs (hence the name Ribz Front Pack) and puts your most accessed gear right there in front of you. I thought that it would be awkward to have the pockets of the pack located on my ribs, but it turned out to be very comfortable. Warranty: RIBZ guarantees all products we manufacture to be free from any defects in material or craftsmanship for a period of one year from the date of purchase. Our warranty is limited to the original purchaser of the product and is not transferable. During the one year warranty period, RIBZ will either repair or replace, at its option, only the defective part of the pack. RIBZ will not repair or replace any pack that has been torn as a result of accidents or misuse. I reviewed the pack while I went fishing and hiking a couple weeks ago. I never once felt like it was in my way or felt uncomfortable. This is always a plus especially with new packs, they sometimes tend to pinch or rub and can take a while to adjust to get them just right. I was able to quickly adjust the pack to fit me and to eliminate any chance of it rubbing or pinching. I went fishing with my boys and needing to carry one or the other as well as my fishing gear is always a fun challenge. The thing that I like the most about the Front Pack is the fact that the pockets on the pack are very spacious. I was able to easily load up my essential gear for the trip without feeling weighed down or uncomfortable. The only thing that I would change would be that the material on the Green Front Pack is kind of loud. I have heard that the Camo Front Pack is much quieter which is very important while hunting. The green pack is one I would definitely recommend for fishing, hiking, or any recreational activity that doesn't need to be extremely quiet. I do need to clarify though and say that it isn't extremely loud but it is just a little too loud for me for bowhunting. 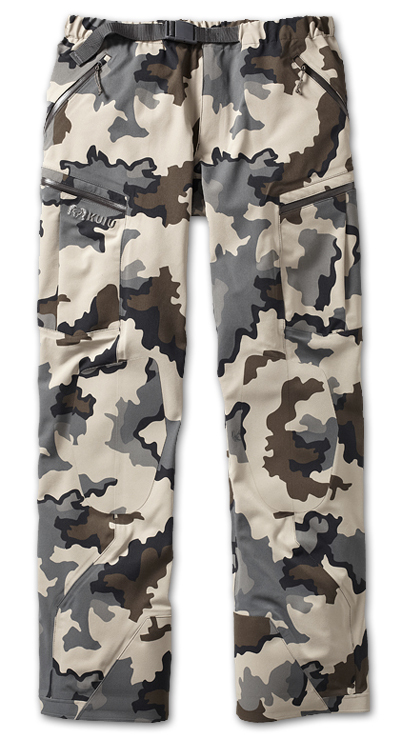 Overall I would say that this pack is a great addition for the outdoorsman (or woman). It helps eleviate the weight off of your back and places it in front. If you add this your regular pack it will actually help balance the weight. Be sure to check them out at www.RibzWear.com and follow the on Twitter @RIBZFRONTPACK and give them a like on the Ribz Facebook Page. As with all reviews on High Country Bowhunter, the following review is my honest opinion, I received the Alpine Green Ribz Front Pack free of charge and agreed to provide a review in exchange. I am not sponsored by or associated with Ribzwear and accepting no other compensation, monetary or otherwise, in exchange for this review. My independent status may change in the future but, as of the date of publication, no relationship other than described above has been pursued or established. Disclosure of Material Connection: I received Alpine Green Ribz Front Pack for free from Ribzwear as coordinated by Deep Creek PR an Outdoor Industry Public Relations Company in consideration for review publication. Once again KUIU announces another new product, the KUIU Yukon Series. This one sounds just as awesome as the last. I wanted to spread the word about this new product because it sounds like it would be very beneficial and extremely comfortable. Now if you aren't familiar with KUIU, they are not in any department store so you can't just drive to the store and give it a try, but if you are like most of us, we do research online to gather as much information possible about a product before making a purchase. The series consists of a waterproof jacket, pant, glove and gaiter that come in their Verde or Vias pattern. Now with rain gear we all are familiar with the warmer weather, or even cooler weather, raining conditions feels like we are trapped. It's difficult to get breathability and waterproof protection to coincide. Recently KUIU announced that they will be using Toray Dermizax®NX breathable membrane and would be the first to do so. This membrane has an industry leading 20,000mm/24hr & 40,000g/m2/24h waterproof to breathability rating that sets a new standard. The membrane is wind and waterproof, up to 200% stretch in both directions, twice as breathable as its closest competitor and up four times as breathable as most others waterproof fabrics. KUIU bonded the Dermizax®NX membrane to an incredibly durable TORAY Primeflex® 100% Polyester face fabric that is quiet, abrasion resistant, 4-way stretch and treated with an industry leading Kudos®DWR by TORAY. A circular knit backer by TORAY is bonded to the inside, resulting in a very advanced 3-layer waterproof breathable fabric capable of maintaining comfort during extreme aerobic activity. Be sure to check out their blog to find out more about the Yukon Series rain gear and each piece in this series. 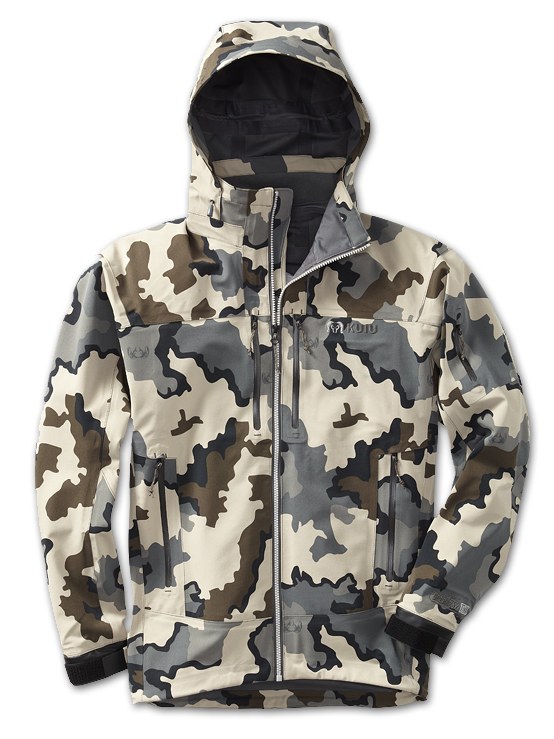 You can read more about the Yukon Jacket, Gloves, Gaiter, or Pants. KUIU is constantly working on improving their products and have always had the customer in mind while producing their camo. I have a set of rain gear that I use but it is not very quiet but it does keep me dry. I look forward to continue learning more about the latest from KUIU as they are always improving and coming out with new products. Be sure to follow the KUIU blog to find more about their other products as well. The press releases published on High Country Bowhunter are my thoughts on the products. I receive the press release and give my thoughts of what I think. I do not receive any product nor am I sponsored by or associated with KUIU at the present time and accepting no other compensation, monetary or otherwise, in exchange. My independent status may change in the future but, as of the date of publication, no relationship other than described above has been pursued or established.